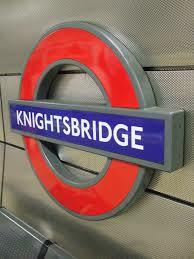 What do Knightsbridge and East Dulwich have in common? So, what do East Dulwich and Knightsbridge have in common? Notwithstanding the fine array of independent shopping in East Dulwich, one would have to say, at first glance, not very much. However I was interested to read the following comments from representatives of Strutt & Parker, agents who specialise in Prime Central London (PCL) areas including Knightsbridge. Stephanie McMahon, head of research at Strutt & Parker, said: “Whilst total values transacted in central London are markedly down on this time last year, we must have a sense of perspective and accept that 2013 was an exceptional year. “It is really not surprising that prices are stabilising after the dramatic price increases we saw over the past 12 months. “Sales volumes are also showing a slowdown and two quarters of data do suggest a trend of decline. This is as we predicted. We have seen these conditions before in the run-up to a General Election when speculation mounts. Lulu Egerton, partner at Strutt & Parker in Chelsea, said: “There is no doubt that PCL property is in the midst of a price correction. In our view at No-Flies, this analysis also perfectly describes what is going on in the East Dulwich property market. All is not doom and gloom, but an exceptional period of growth over the last 18 months (generated by (1) the relative affordability of property in Se22, Se15 and Se5 when compared to similar property in south-west, north and east London, (2) the improved transport links arising from the introduction of the Overground at Peckham Rye and Denmark Hill, and (3) generally increasing economic confidence) has now come to an end and we are now in a similar period of correction to that described by Lulu Egerton above. Again, like in PCL areas, property is still selling in East Dulwich provided it is competitively and realistically priced and to achieve that we sometimes have to forget about the heady prices achieved for properties in this area in late 2013 and earlier this year. So, whilst we should not expect a Harrods Metro to replace Iceland any time soon, it appears that SE22 and SW7 may, after all, have more in common than is immediately obvious.